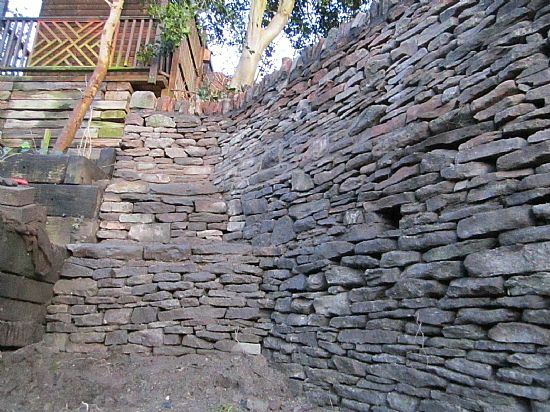 The existing structure removed, and replaced with a 5.3 meter high dry stone wall. 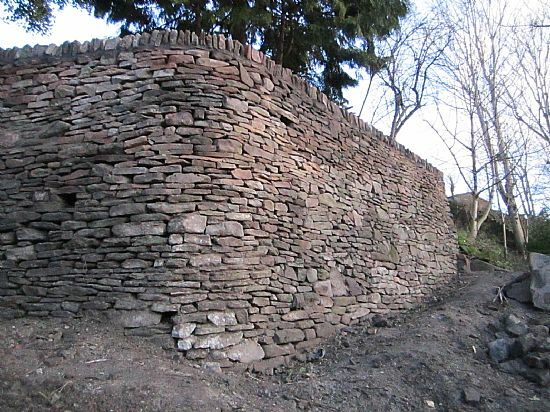 Holes built into wall for wild life. 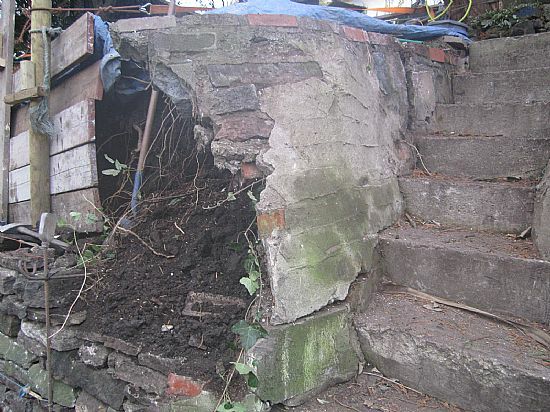 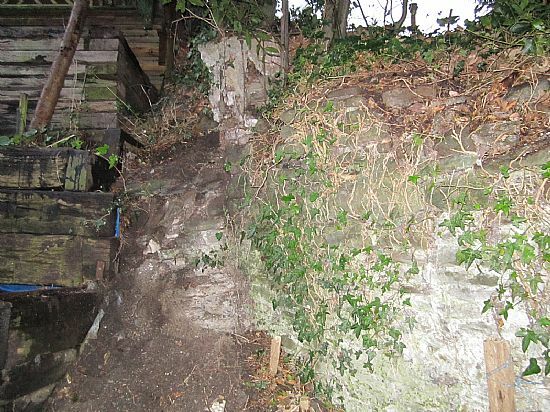 The mass of soil behind the wall was removed, and the Dry Stone Wall returned into the steps at 90 degrees. 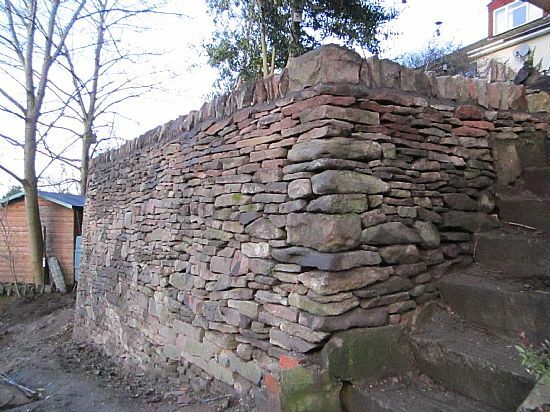 This section of wall was extremely challenging. 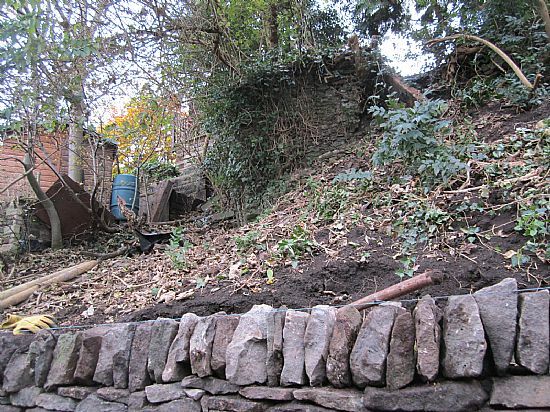 Building a 30 degree return, into split level walling following contours of neighbours build.